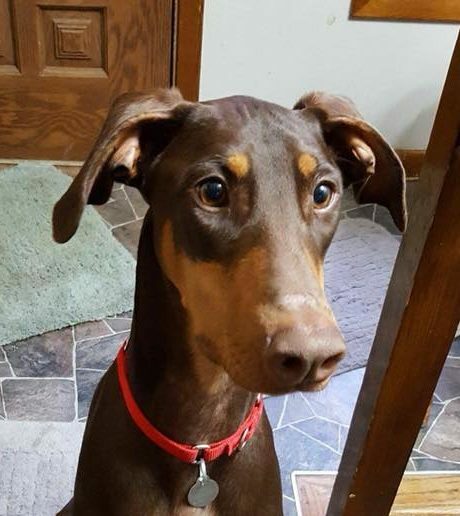 This beautiful 2 year old was surrendered to a shelter and was adopted out twice before coming to Doberman Underground. Tyla has had several homes in her short life. She’s great girl and after careful evaluation, we have several non-negotiable requirements for potential adopters. PLEASE READ THEM CAREFULLY. We will not consider adopters that don’t meet all of our requirements, no matter how experienced a Doberman owner you are. We are going to make sure that Tyla is set up for success in her new home. Tyla is not a starter dog. Protective of home and car, Tyla is a natural guard dog. She is possessive of her people, as well as her toys. She doesn’t like to share either of them! She needs a strong leader who must have previous Doberman or large dog experience. Tyla needs to be an only dog. As she matures, it’s possible she may do very well with another female dog at some time in the future. But for now, she’ll need to be the queen of her castle. No cats and no kids under 10. Training is critical for Tyla. She is eager to learn and quickly picks up on commands. She already walks perfectly on a leash and your trainer will appreciate that she is a great student for obedience and even agility. 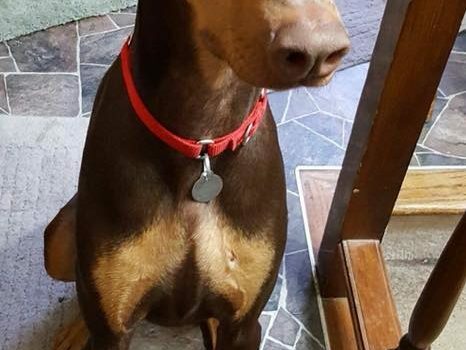 A typical dober-teen, she has a lot of energy and must have a physical fence so she can run and play in a safely confined area. Tyla is a counter surfer and will steal food if given the chance. She is completely potty trained and crates nicely. As long as there are toys around she will not chew things that are not supposed to be chewed. Tyla needs to find her perfect home and the adoption team at Doberman Underground is committed to finding that for her. A single person or couple with no small children will find her the perfect companion. She would be perfectly happy to share her life with a homebody that is looking for a furry BFF.